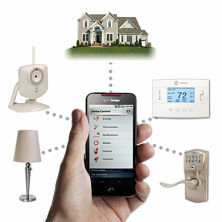 A recent report from IMS Research discovered that the public’s opinion on home security has changed. The introduction of telecommunication companies into the home security industry has brought about the concept of security as an add-on service in the industry. Today, numerous telecommunications companies reason that they can sign-up customers who have either never installed a security system or are dissatisfied with their existing service provider through their packaged service model. Telecommunications companies already offer cable, Internet, and phone service, now, home security is the latest addition to these packages. For instance, not too long ago, one of the largest telecommunications companies in the United States announced that they were introducing a spanking new 10,000 square foot flagship store in Chicago. This new store will feature the first retail demonstrations of its latest security offerings. They already provide services to the home. If you are a current customer of a telecommunications company, the increased cost of adding maximum security is not so expensive, especially when added to an existing package. However, the jury is still out on the amount of market share these companies will take, particularly if their reputation as a service provider has been thorny. It will come down to how much you are paying each month for your service package and if you believe that you are getting your money’s worth, especially on the service end. Another development that has had a huge impact on the home security industry is the advancement of home automation and the creation of smartphones. What was previously a luxury that only the wealthy could pay for; home automation technology has developed into an essential part of almost every new alarm panel that comes on the market today! With the advent of new technology, you, as a consumer, can do away with the traditional alarm system that arms and disarms when you leave or come back to your home. These days, as a consumer you want the power to control your thermostat, turn your lights on and off, and read the weather report, all in one system. Furthermore, not only can you do all this at one panel alone, you also have the ability to program your system via your smartphone, if you have one. What Makes this Market Appealing to IT/Telecom Service Providers? The market for home security companies is transforming quickly. During the past two to three years, service providers have begun to expand their portfolio to include automation and energy efficiency solutions to draw more customers. Small business consumers today can control their physical security, building mechanization, and energy usage with one all-inclusive solution, managed and monitored from a central panel or through the Internet with one user interface. Security systems can also be controlled with a web browser. In addition, as a homeowner, you can control your physical security, home automation, entertainment devices, and digital thermostats all through one device. These new features allow you to manage your surveillance with one gadget. The ability to incorporate and manage all systems in the home or small business demands alternate capabilities that are usually built on an IP network. Overall, communications are using existing Wi-Fi networks or cellular networks. This permits telecommunication companies the opportunity to target residential and small business customers for add-on services that can assist them with increasing their revenue and shareholder value.